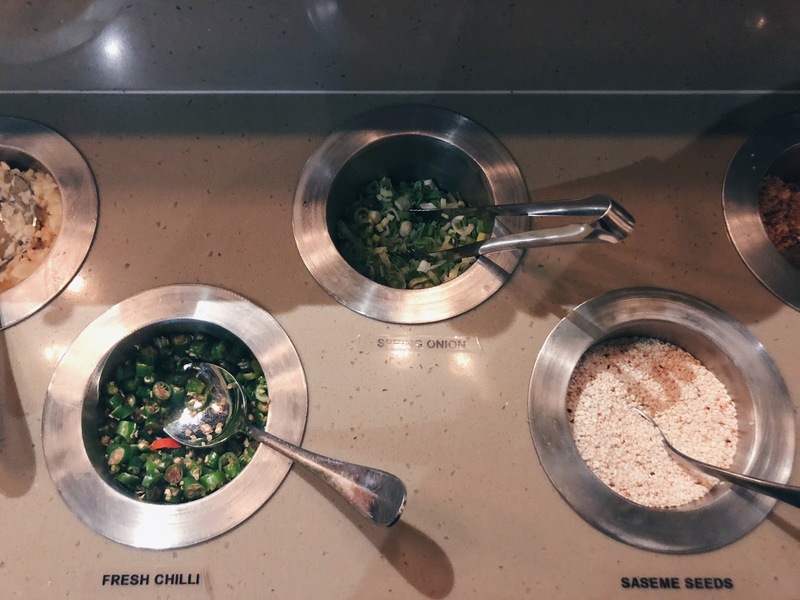 There's been a fair few pizza recommendations on this blog recently - and while I know you guys love a good pizza place - I thought it was time to show you something new. Something completely different in-fact! 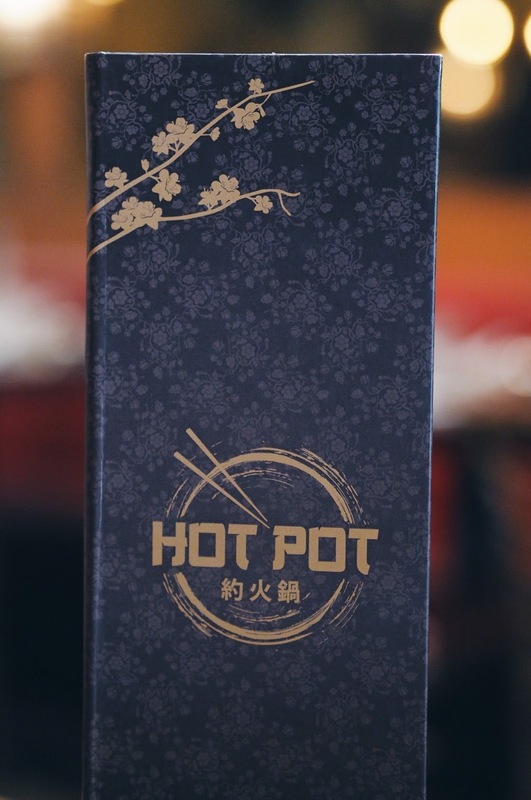 It's called Hot Pot and I have a feeling you guys are going to love it! 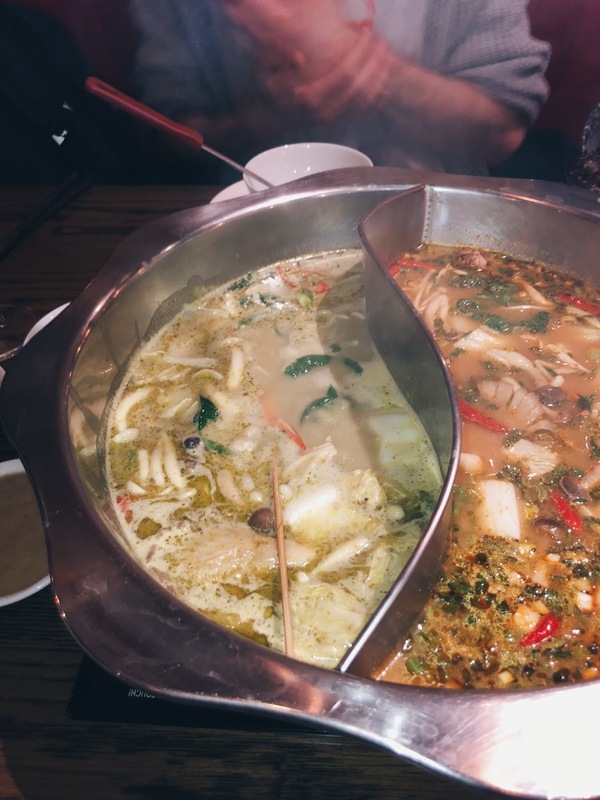 Now don’t be fooled, I’m not talking about Betty's Lancashire Hot Pot here...no, no - this is Hot Pot or 'Hou Guo', a traditional broth-based cooking experience which originated in Asia - and it's SO much fun! 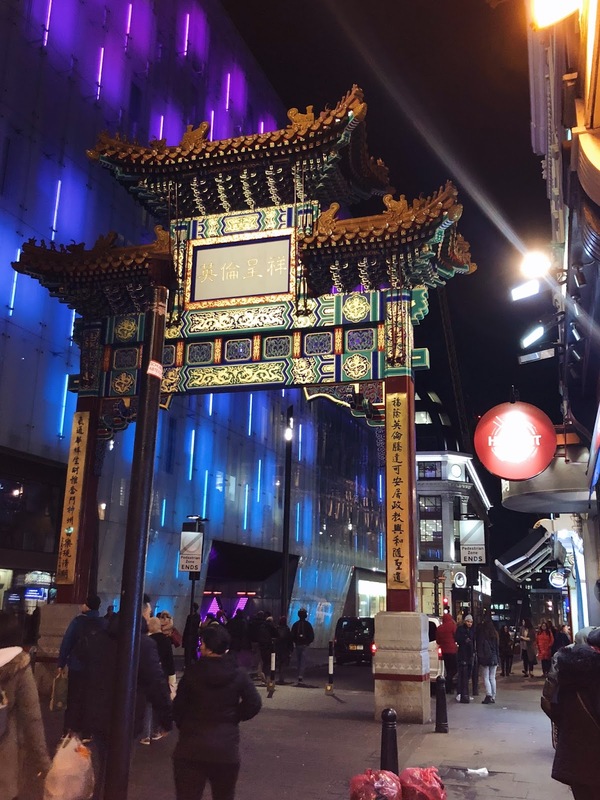 You'll find the restaurant tucked away under the glittering gateway to China Town on Wardour Street in Soho. 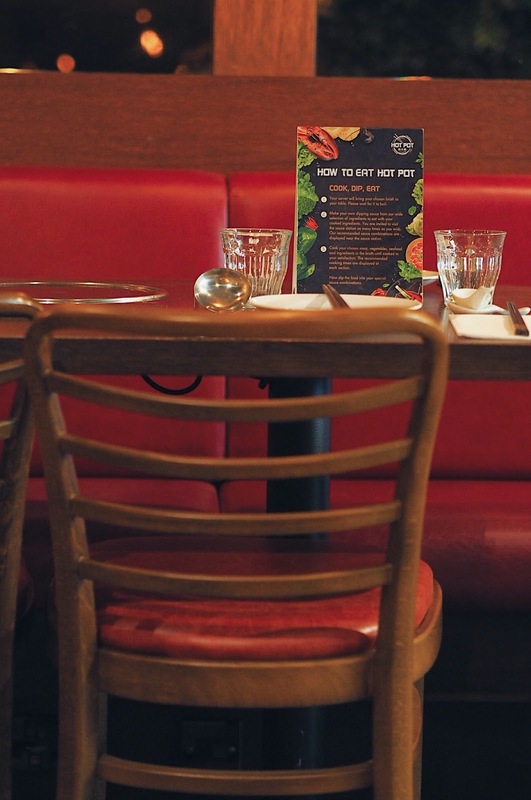 The restaurant has a really intimate yet relaxed vibe complete with lots of dark wooden panelling, polished brass lighting and hints of traditional red dotted through-out. 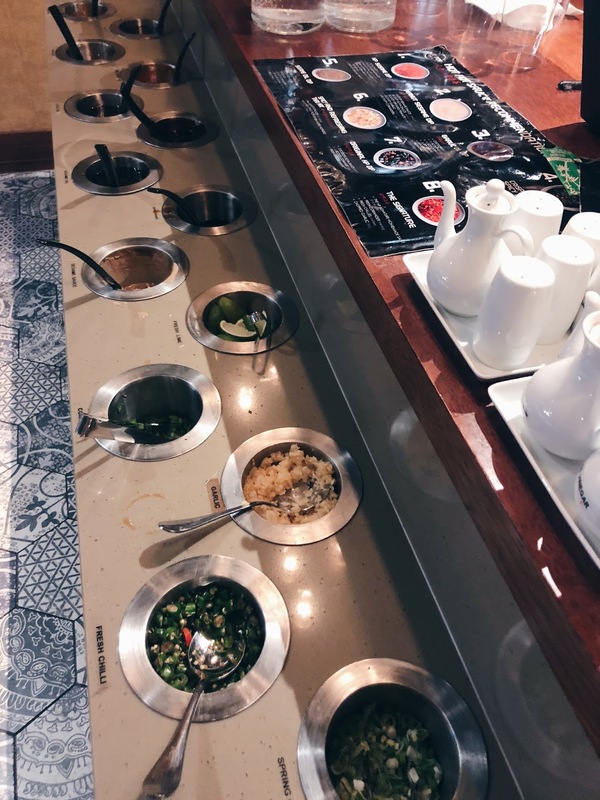 At every table you'll find an electric hot-plate...which is where the magic happens. plus the most incredible fresh seafood. This platter was actually my favourite. 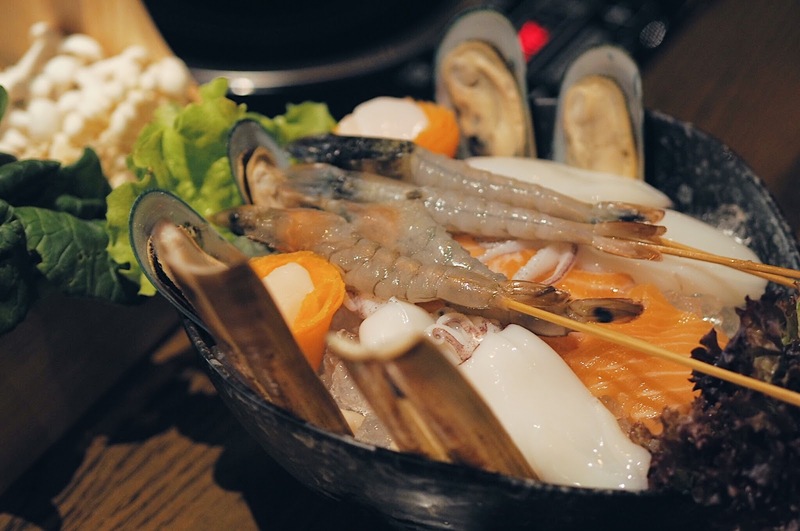 A whole array of seafood presented on crushed ice with everything from razor clams and scallops through to fillets of salmon and skewered prawns. 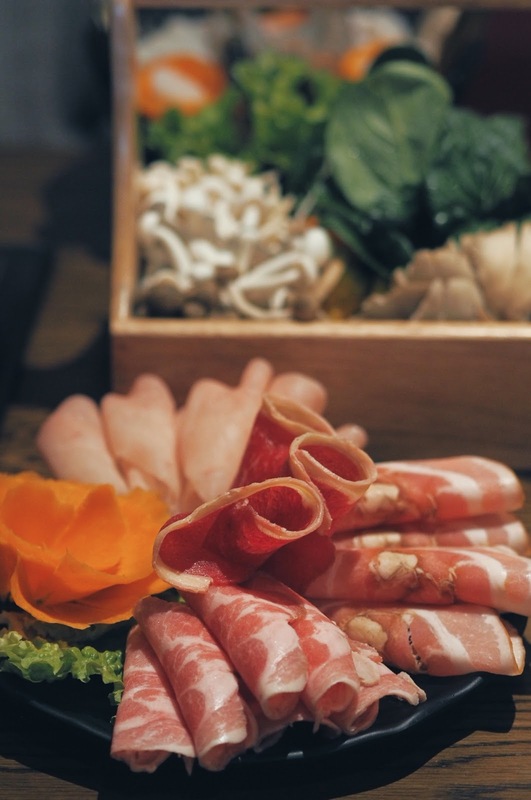 The beauty of the Hot Pot is, the more ingredient that you add, the more flavourful your broth becomes! We decided to try two different broths, the 'Tom Yum' - a spicy hot & sour soup and the 'Thai Green Curry'. 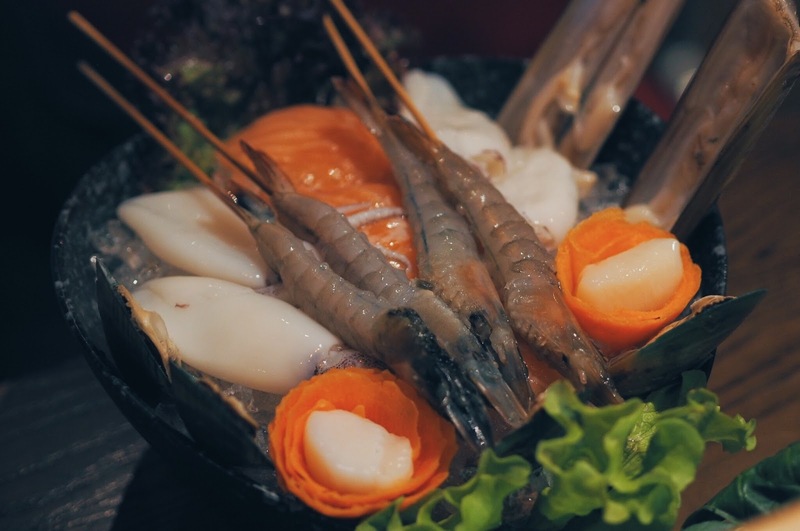 The Tom Yum is a deliciously spicy option which is great for chilli lovers - it's not too hot (like the fiery Mala version) but is balanced out with lemongrass, lime and coriander. I'd say this was my favourite. The Thai Green Curry was also delicious. 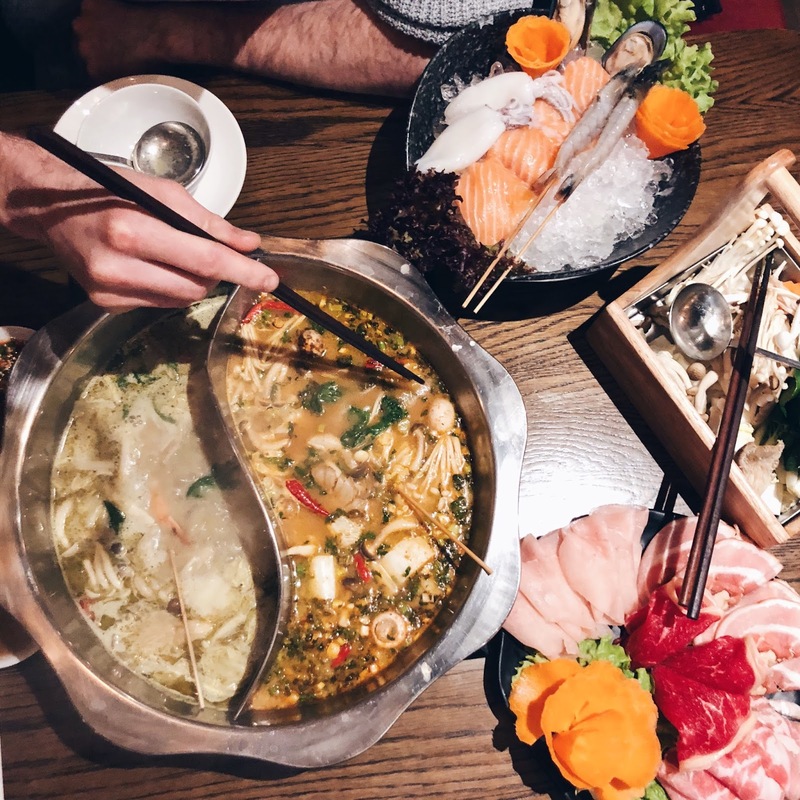 Our waitress explained this broth is very popular with Western customers and for good reason too - it's fairly mild but packs in the most incredible flavour which only intensifies as you add more ingredients to your broth. 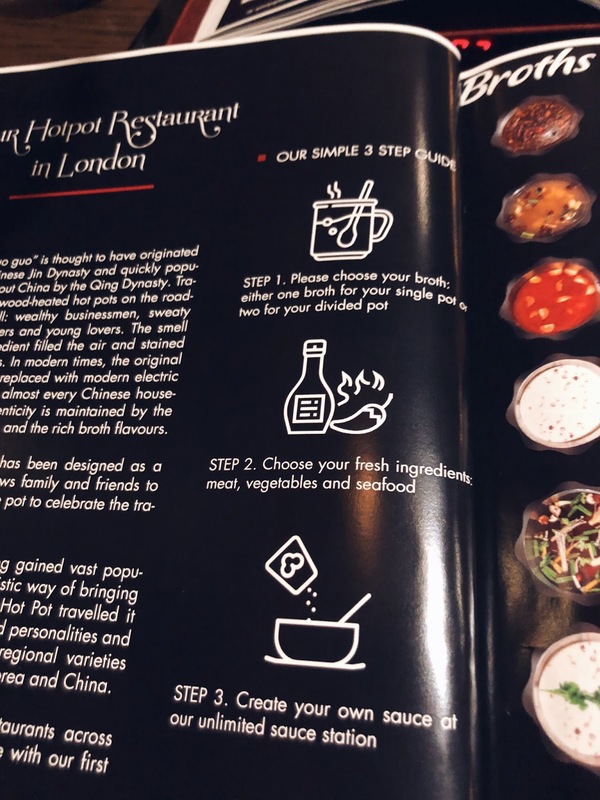 The other important element of the Hot Pot is the dipping station, where you can create your own sauces to help flavour your meats. Overall we loved Hot Pot. 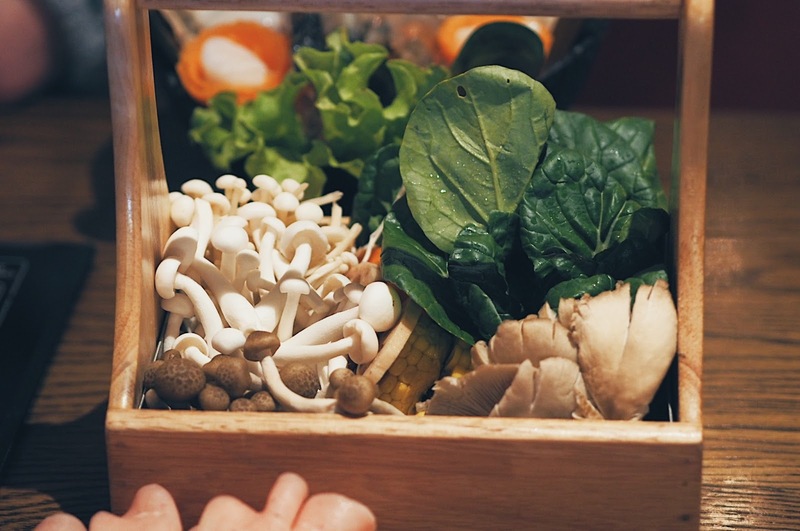 It's a really fun, social way to eat so I'd definitely recommend it for groups of friends or even for dates if you're looking for a unique experience (and it would definitely help break the ice!). They're open seven days a week from 12pm till late and unlike a lot of places in Soho - you can book! 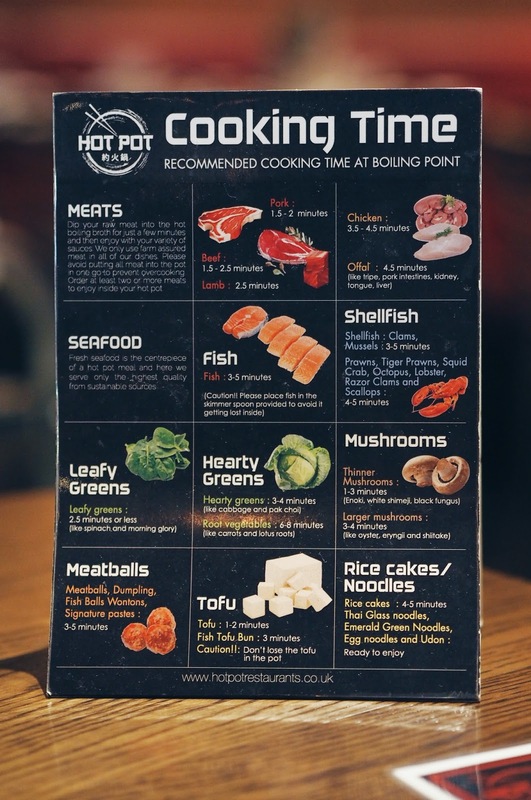 This looks so good - I miss hot pot from when I lived in Asia. I'll have to make a visit.